Consumption of media and entertainment is in a constant state of evolution. People have always found new ways to be entertained. From live music and theatre to radio, to movies and TV, media changes. The most current and largest growing evolution in entertainment is live streaming. Streaming TV and video are becoming common to the point where streaming services are household names. You may have heard of streaming based companies, such as Netflix or Hulu in your everyday life. Streaming media has worked its way into everyday life. For many years now, the overall percentage of subscriptions to satellite or cable has been steadily declining while the number of broadband internet customers rises. This decrease in has put immense pressure on major media networks to adapt to the changing media climate. People now have more options and control over their media intake. In response to this, these networks have begun licensing their programs for new services such as DISH Network’s Sling TV, PlayStation Vue, or even AT&T’s DirecTV Now. during the first month, DirecTV Now managed to entice 200,000 subscribers, which is a pretty good start. What can Google Bring to the Table? Recently, a more familiar contender has thrown its hat into the streaming ring. YouTube has been offering up every kind of imaginable video for years now. They have always been a crowd favorite but now they have taken new steps to take advantage of the streaming craze. Revealed on the 28th this past February, YouTube announced their version of accessible streaming. The service is simply called YouTube TV. Like other streaming companies, YouTube TV will offer a live assortment for streaming including many major news networks and other popular channels. 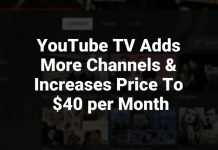 YouTube TV is now available for $35 a month if you sign up from an Android device, desktop, or laptop computer. It’s possible to sign up through iTunes but it will cost $39.99 per month plus tax. The subscriber fee gives you access to a cloud DVR that allows you to simultaneously record as many shows as you would like as well as unlimited cloud storage space. The cloud storage allows users to save as many shows and movies as they would like for an easy queue up. This unlimited space does have time constraints though. After 9 months, the files will be deleted. Regardless of the 9-month limit, YouTube TV subscribers will be able to access their shows, queued and live from multiple devices. YouTube TV streaming is available via tablets, smartphones, and computers. Their mobile streaming app is specially designed to project from the device screen to a larger screen such as an actual TV set. Just in case you want to switch the game from your hand to the big screen for your friends, YouTube TV makes this a cinch. YouTube TV also offers layered original content. The product manager at YouTube, Christian Oestlien noted that this launch is truly reimagined for the younger, “YouTube” generation. These are the kids more likely to cut the cord and stick with streaming. Other than the unlimited storage space and multiple device accessibility, the subscriber fee of $35 covers up to 6 separate accounts. Netflix offers similar options but has restrictions that customers often voice complaints about. YouTube TV comes with 6 wholly separate accounts with unique logins and their own personal DVR library. Another perk of YouTube TV is their cancellation policy. Most of the other streaming attempts from major networks come with extra fees or a long contract you cannot exit unless you pay a fee. With YouTube TV, you can cancel anytime. If you do decide to cancel, YouTube TV saves your settings just in case you want to re-enter the membership later on. One of the best functionalities that YouTube TV offers is their anytime support. Subscribers that experience any technical issues or conflict can easily reach out to their support team with a voice or text chat. For now, YouTube TV is restricted to just the biggest US markets but they have speculated that they will soon cover even more cities and countries. Does YouTube TV Differ from YouTube Red? 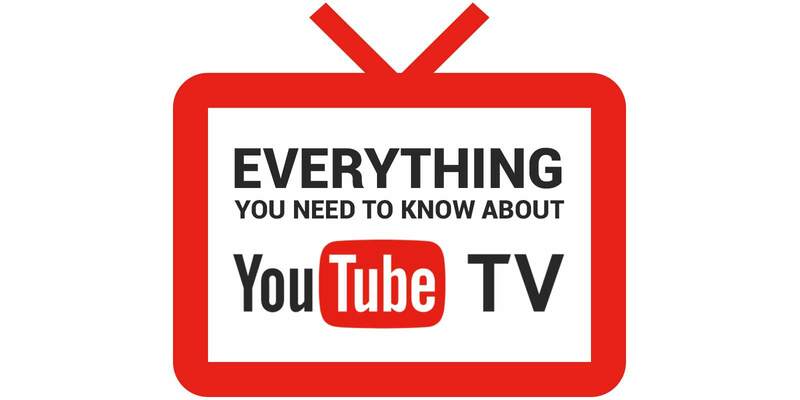 During the launch of YouTube TV, many people questioned whether this was different from their previous launch of YouTube Red. This launch was paired with Google to achieve a more advertisement free viewing area. YouTube Red comes with original content but none of the channels from YouTube TV. Although YouTube TV comes with advertisements, they offer a wider array of channels including all original series and movies unique to YouTube Red. The $35 monthly fee gets you quite a selection. 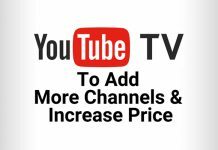 Other than the built-in channel access, YouTube TV also offers add-on options such as FOX Soccer and Showtime. Fox Soccer is available for an extra $15 a month while Showtime is only about $11 extra a month. For now, their substantial list will have to do. 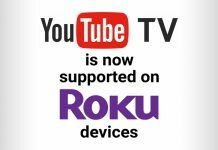 All you need for YouTube TV is the application or a device with internet access. For now, this is available on Androids, iOS devices or your computer. In the future, devices such as Apple TV’s, the PS4, Xbox One or even the Roku may have access capabilities. The mobile application for Android and iOS devices have the “cast” functionality allowing you to extend the view to a larger screen. The application itself has only 3 main screens: home, library and live. There is also a universal search bar, which is located at the top. This search bar is findable on most screens and it lets you search by network, categories, and genre making it quick and easy for you to find exactly what you need. The home tab is similar to the original YouTube view. It presents shows you have recently viewed and recommendations based off what you watch. Along with this, paused items will also have a spot on this homepage, just in case you want to keep watching where you left off. The live tab previews everything that is currently broadcast by the available networks. This is paired with a live preview as well, so you can check out what is happening first. The plus icon in the preview section allows users to record for later and when the screen is flipped to portrait view, the recommendations section is reviewed. The library section shows all the shows and movies that you have recorded or saved for later. This area also allows you to see all the items that are scheduled to be recorded, as well as, items that may be deleted soon due to the 9-month limit. The separate account benefit allows this tab to stay less muddy as everyone has his or her own unique library. Now that you’re up to date on YouTube TV, try it today to see if it is the right service for you!